The new NUL Registrar, Mrs. Liteboho Maqalika-Lerotholi, assumed duty on 3rd March, 2015. She was recruited following the resignation of Dr. Tumelo Tsikoane who had served from February 2011 until July 2013. Ms. ‘Masefinela Mphuthing then took over as Acting Registrar till March 2015 when the substantive Registrar came into office.Born and bred in Lesotho in the Leribe district, Mrs. Maqalika-Lerotholi brings a wealth of experience in leadership, administration and management having worked at the helm of several higher educational institutions within the country as well as the Ministry of Education and Training. She is an alumnus of the National University of Lesotho. She attained the following qualifications: BA Ed. at the National University of Lesotho; MA Ed. at the University of Sussex in the United Kingdom; and Advanced Diploma in Educational Planning at the International Institute of Educational Planning in the International Institute of Education Planning (IIEP) in Paris, France.She started her career as a High School teacher at Chabatsane Secondary School in Leribe and later at St. Agnes High School in Berea. She then joined the Ministry of Education as an Inspector of schools and was promoted to the level of Chief Inspector – in the Secondary Inspectorate. Later on, she left the Ministry and was appointed by the Lesotho College of Education as Deputy Rector – Administration. She was subsequently appointed Country Director at the Institute of Development Management (IDM). At the end of this appointment, she became a consultant for three years. 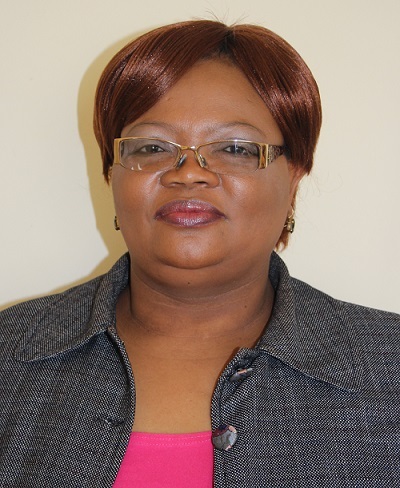 Mrs. Maqalika-Lerotholi is the second female NUL Registrar. The Registrar reports to the Vice Chancellor and is the Secretary of Council and Senate in terms of the National University of Lesotho Act 1992 as amended and the Statutes of the University. In that capacity, the office advises the Vice Chancellor in ensuring that the laws and policies of the University are followed. The Registrar‚s office core function is the provision of administrative support to all the academic functions of the University. The office is responsible for advertising programmes on offer; admissions of candidates to the various programmes; registration of students; conduct of examinations and conduct of the convocation. In addition, the office oversees campus services including maintenance and security in all campuses. The Registrar’s office thus oversees efficiency and effectiveness of academic and administrative services within the University. B.Ed. (Adult Education) (NUL), Dip. in Adult Education (NUL), Dip. in Secretarial Studies (CTI).